Help Center - How do I pay annually? 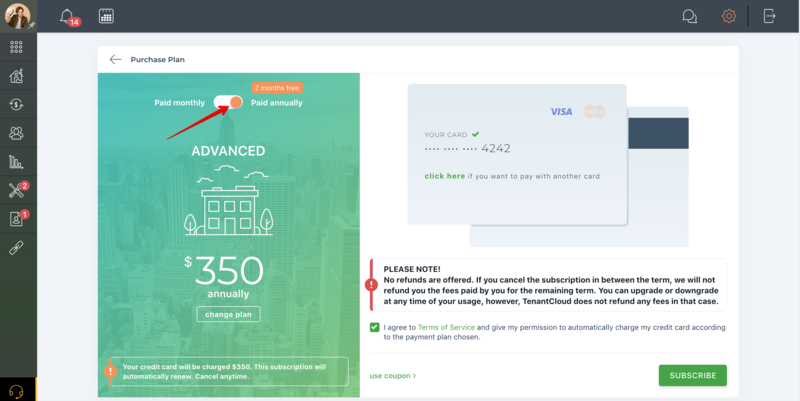 When you upgrade your TenantCloud account to a paid version, you'll be asked how you would like to be billed, monthly or annually. The steeply discounted annual plan gives you two months for free. If you've already subscribed to the monthly plan, you can change your billing schedule to annual at any time. 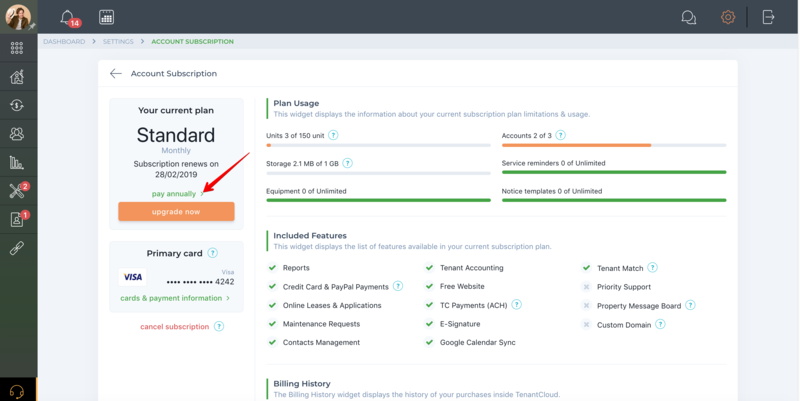 Now you can view your current subscription plan details, included features, limitations & usage, latest billing history, and primary card information. In order to change your billing schedule to annual, use the "Pay Annually" link above the "Upgrade Now" button. It will take you to the "Purchase Plan" page with your current plan and the "pay annually" option selected. 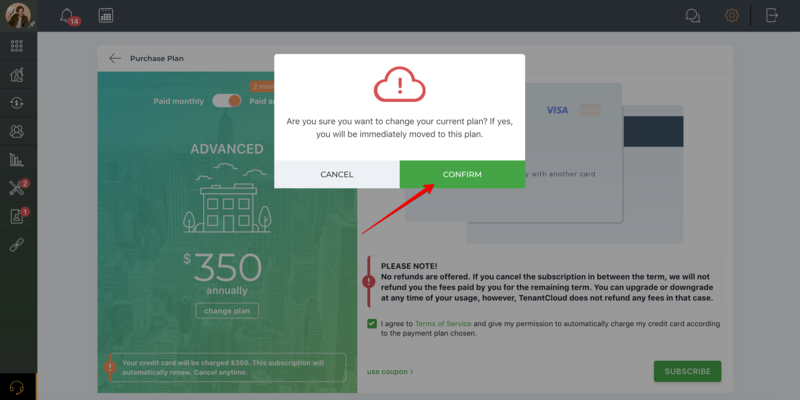 You can also click on the "Upgrade now" button on the "Current Plan" widget. This is where you can view a detailed description of our plans. Find your current plan and click on the "Switch to annual" button below it. 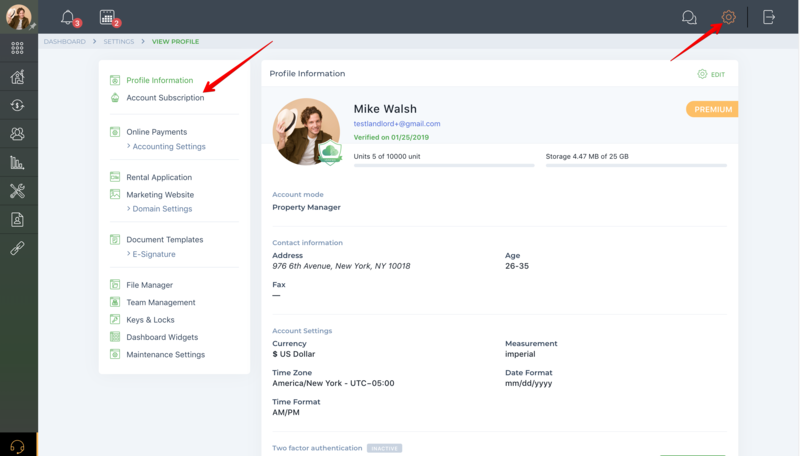 This allows you to change from monthly to annual billing and vice versa.